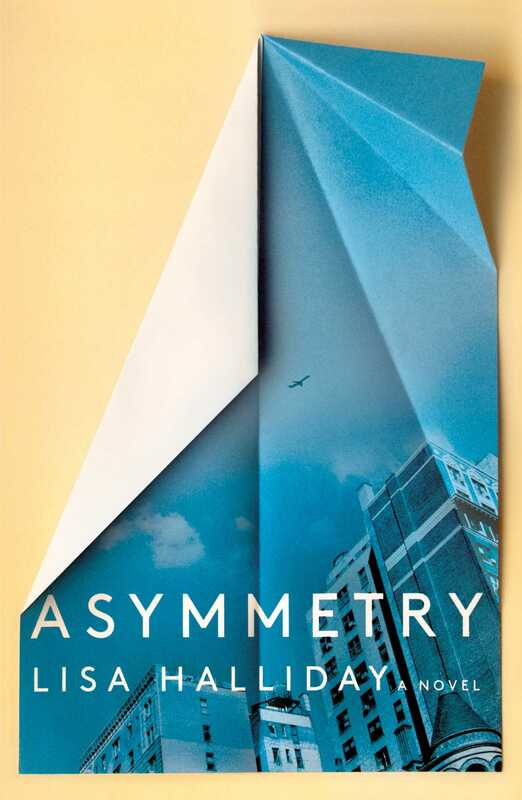 Asymmetry reads like the product of a promising young writer having completed a very good creative writing MFA program, who is subsequently unable to write much beyond a meta discussion of everything she learned. The novel comprises two major sections with no evident connection to each other, followed by a coda which, if you are feeling really generous, could be said to connect the two as a cohesive whole. While an undoubtedly talented writer of prose and tone, Halliday could benefit from an editor that held her to a higher standard of restraint. Asymmetry is a book that contains the words “verisimilitude” and “bifurcation” on the same page. Its subject matter is largely confined to a writer who really wants to write a book about writing, to the point where the entire exercise starts to collapse upon itself. One wonders whether this story hit bookshelves as the result of Halliday sleeping with someone high up in the publishing industry—which would be a horrifically cynical and unfair thing to suggest, if not for the fact that such a tryst is the exact plot of the novel. “Folly” is the tale of NYC’s twenty-four-year-old Alice, who aspires to…live in Europe? But also possibly write a book, should she muster the motivation? Reading on a park bench, she is approached by Ezra Blazer, an accomplished author who takes an interest in her nubile female frame. Their romance is awkward and unhealthy from the start. Sensing the imbalance, Ezra intermittently revisits the topic of her consent. Though she consistently answers in the affirmative, there’s a moment in which while lying together in bed, she ponders smashing his head in, fascinated by the fragility of the human brain. It’s clear she’s a naive fledgling who has no idea what she wants, and gets scarcely closer to answering this question through the duration of her tale. It’s disheartening that Halliday, a writer of such evidently strong prose, indulges in a subject matter of such self-absorption. This debut novel strains to look beyond discussions of publishing houses, galleys, blurbs, and writer’s block. She passes the point of no return when characters descend into meta-discussions on the fiction writing process. In one of many deliberately self aware moments, Ezra relays Alice advice that highlighting the smaller details brings fiction to life. Don’t just tell us that a character is whistling; mention by name the song. With the fourth wall damaged as such, all bets are off. On the next page Ezra asks Alice to fetch ice cream from the grocery store and outlines an exhaustive decision-making tree on which flavors to buy based on the available choices. It isn’t amusing, and one can imagine Halliday high-fiving her industry pals on what’s presented as an insightful in-joke sending up the craft of fiction. Moments like these read like an attempt to channel Charlie Kaufman’s Adaptation, but they fail miserably. And that’s just a warmup—this dead horse will be kicked many more times. After prolonged descriptions of medicine bottle instructions and an exhaustive list of names called out for attendance at jury duty, readers may find themselves looking for paragraphs to skip for purposes of economy. Throughout “Folly,” Halliday inserts non-sequitur references to Middle East headlines and food truck employees of Arabic descent. It’s clear these were retroactively inserted after the core narrative had been written, so as to plant artificial connections to the book’s second section. “Madness” is the scattered narrative of Amar, a dual citizen Iraqi-American who is detained at a London airport on suspicion of a unspecified agenda. Halliday immediately top-loads Amar with an economics PhD and a fondness for casual reading on post-Keynesian theory, as a flagrant attempt to instill in readers Some Sense of Injustice regarding his detention for potential terrorism activity. The narrative intermittently checks in on the airport scene, but with each update, very little happens. In between are scattered sections that read like expository background rather than an evolving tale. Chronicled are the origins of Amar’s dual citizenship, his brother’s passion for the piano, and an early romance that begins with a girl by escorting her to an abortion procedure. It reads like an exhaustive character bible rather than an actual arc. It does sometimes feature engaging discussions of existential and political identity, but the former has already been done exceptionally better by Knausgaard, and the latter’s meditations on Operation Iraqi Freedom feel outdated and meandering. Halliday should have just gone all-out Dark Tower and made herself a character in the story, but instead asks readers to play along in the charade. Blazer explicitly warns readers against the misguided folly of attempts to dig up the true events that influenced the fictional narrative, since the novel itself all but begs for this. It also acknowledges that a privileged white college graduate has very little mandate to the imagine the interior life of an Iraqi, then proceeds to do so at length. No amount of lampshading could absolve her of these decisions, but the technique is used ad nauseum. Titling a book Asymmetry does not justify the merits of an unbalanced novel that withers in the fog of its own creative neuroses. Halliday has real potential for a great work someday, so it’s unfortunate that her debut is a memoir on the craft rather than an actual story of original merit. Asymmetry is a retrospective look at a career that has yet to begin. Finally I found someone who agrees with me about Assymetry! It is not that damn good in my view,yet all the fancy reviewers are treating it like the greatest thing since night baseball! I HATED the way she kept cutting and pasting long passages from various great books and kept typing out long lists of jurors names. What a waste ! Indeed, these droves of “fancy” reviewers are digging this book for the same reason that movies about making movies tend to win Oscars. Take away that subject matter and this novel is revealed to be the paper thin bust that it is. Long lists of jurors’ names and medicine bottle instructions, indeed. Glad I’m not alone in this evaluation; thanks!